Logitech knows a thing or two about safeguarding against bumps, scratches and spills – and the dire need for it. As much as we rely on and cherish our smartphones and tablets, they can take quite a beating throughout our daily lives. 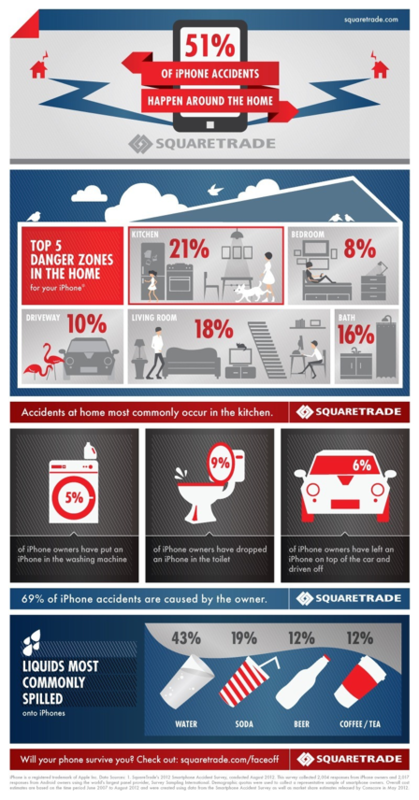 In fact, a recent study from SquareTrade shows that accidents happen at a rate 10 times higher than loss or theft when it comes to the iPhone, and iPads don’t fare much better. Rugged protection meets smart design in Logitech’s protective case offerings. Part of the primary appeal of the iPad and iPhone is their compact size and slim design, so we designed our mobile cases to enhance this design, rather than weigh it down with bulky protection. Our Logitech Big Bang for the iPad Air and iPad mini, and the Logitech protection [+] for iPhone 5 and iPhone 5s case are thin and light yet equipped with the Essential Protection System (EPS), offering peace of mind that your phones and tablets are secure from bumps, scratches, and spills. Taking a page from the pros, we’ve reinforced our Logitech Big Bang for the iPad Air and iPad mini with proven shock-absorbent material used by the industries that know a thing or two about wear and tear including aerospace, automotive and sports protection equipment. When a fellow commuter bumps you on the train and sends your iPad flying, you can rest assured knowing your device can withstand drops up to 1.4m due to clever engineering and durable materials. The Logitech protection [+] for iPhone 5 and iPhone 5s features a raised beveled edge that acts as a front bumper for your phone to help keep the screen safely away from uneven floor surfaces like concrete. Since most drops happen at an angle, we’ve secured the case corners with impact resistant polymers that minimize the force of impact and actually make the phone easier to hold than the iPhone’s thinner, metal sides. Finally, the metal back not only resembles the phone’s original elegant package but also offers seamless compatibility with our other Logitech smartphone accessories. Nothing says I’m waiting for my upgrade quite like a cracked iPhone screen. It’s an all too common sight, but also easily avoidable. How has your phone or tablet fared since you first bought it? Share in the comments below.